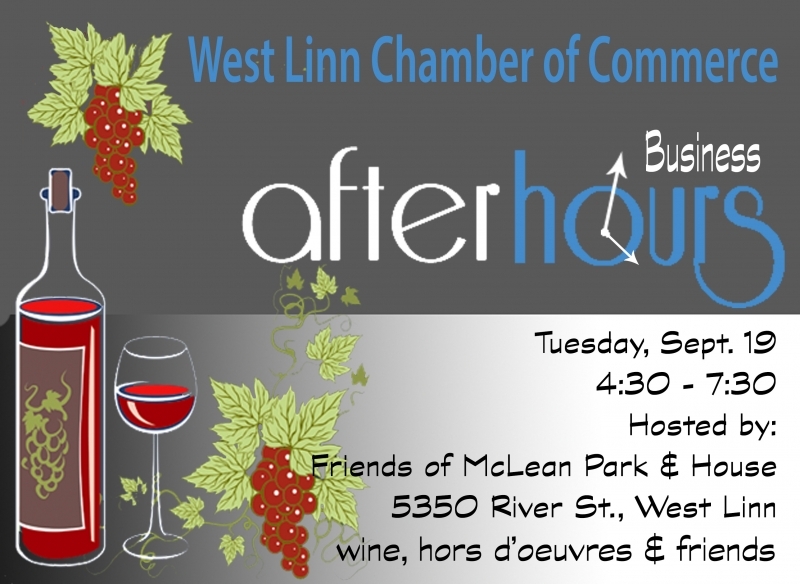 Please join the West Linn Chamber of Commerce at their After Hours party hosted by Friends of McLean Park and House. Wine and goodies start at 4:30 pm. Meet local business leaders and tour the McLean House.